When the San Francisco Giants won the World Series in 2012, catcher Buster Posey was the National League’s MVP. 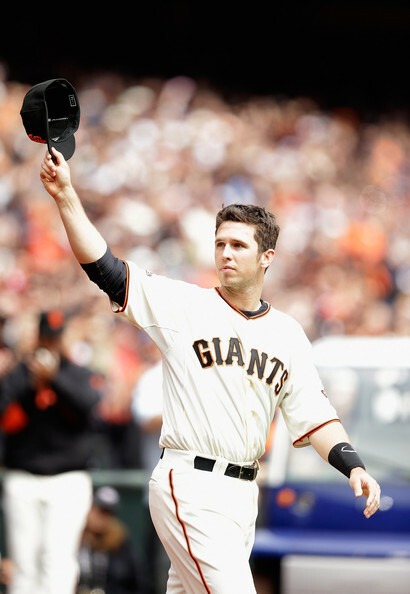 When they won the World Series this past season, Posey was the highest ranking Giant player in the MVP voting when he finished sixth (Giants outfielder Hunter Pence finished 11th, the second-highest finish for a Giants player) in the National League voting. Go back a few more years to when San Francisco won the 2010 World Series, and you’ll see that Aubrey Huff was the Giants player who finished the highest in the voting with a seventh-place finish. What does all this mean? Well, based on past history we can see that no longer does it take a front-runner for the league MVP Award to lead his team to the World Series. This year was the 11th time since 1990 that the World Series champion did not have a player finish in the Top 5 for the league MVP Award. Here’s a look at those 11 teams. 1989 Oakland (Dennis Eckersley, 5th); 1987 Minnesota (Kirby Puckett, 3rd); 1986 N.Y. Mets (Gary Carter, 3rd); 1981 L.A. Dodgers (Fernando Valenzuela, 5th); 1977 N.Y. Yankees (Graig Nettles, 5th); 1959 L.A. Dodgers (Wally Moon, 4th); 1928 N.Y. Yankees (Tony Lazzeri, 4th). From 1923 to 1984 (60 seasons), 41 of the World Series champs also had the player who won the league MVP Award in their league, with another 15 World Series champs having the player who finished second in the balloting for the league honor. Since 1985, only two teams that won the World Series had the player who won the league MVP Award: Posey in 2012 for the Giants, and in 1988 when N.L. MVP Kirk Gibson led the Dodgers to a World Series title. Is there a lesson here? Probably that it no longer takes a team with a front-runner for the league MVP to win the World Series. 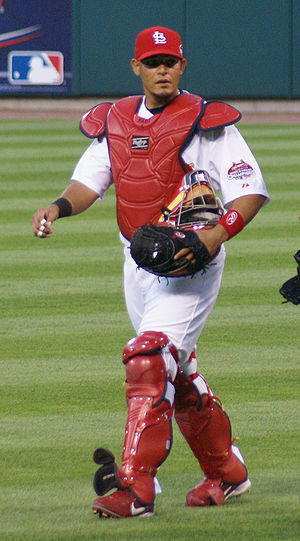 St. Louis Cardinals catcher Yadier Molina through games of June 20 leads the majors with a .366 batting average. This mark is 81 points above Molina’s career batting average of .285 and 51 points above his best season when he hit .315 last year. This 2013 MLB season is a little short of being half complete, but Molina could be approaching some historic numbers if he keeps up this pace. Here’s a look at the catchers who have had the highest single season batting averages in baseball history. Let’s widen the parameters a bit. If we drop the batting average down to .320 or better, Molina would become the 38th catcher to finish the season with a batting average over .320 if he can keep that mark. A catcher batting .320 or above in a season has happened 77 times in baseball history by 37 different players. Mickey Cochrane had the most seasons with a .320 or above batting average with seven. He is followed by Bill Dickey with six, Ernie Lombardi, Joe Mauer and Mike Piazza with five each, and Spud Davis, Gabby Hartnett, Jason Kendall and Ivan Rodriguez with three each. 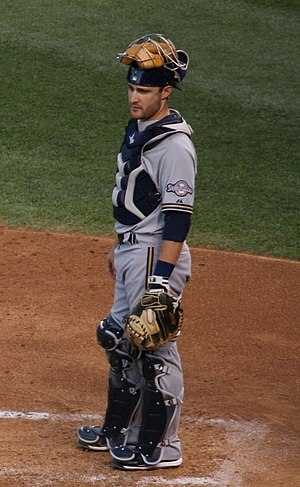 Since 2000, there have been 11 times when a catcher finished the season with a batting average of .320 or above. So far this season, we have three catchers above .320: Molina, Mauer and Buster Posey.